I've never seen such an excited and enthusiastic bride! Kara was beaming from ear to ear from the moment we arrived, to the moment we left. I should also mention she was cool as a cucumber and totally relaxed while she enjoyed prepping for her wedding day with her wedding party. Mike was equally excited as he waited patiently for the wedding to begin. Despite hurting his thumb only days before the wedding, he was still all smiles and didn't let it get him down. A nice little heat wave hit the area the week of the wedding, but it didn't keep anyone away! Mike and Kara were surrounded by so much love and support as they said their vows and celebrated well into the evening hours! This group definitely knows how to have a good time. What a special day it was for everyone. 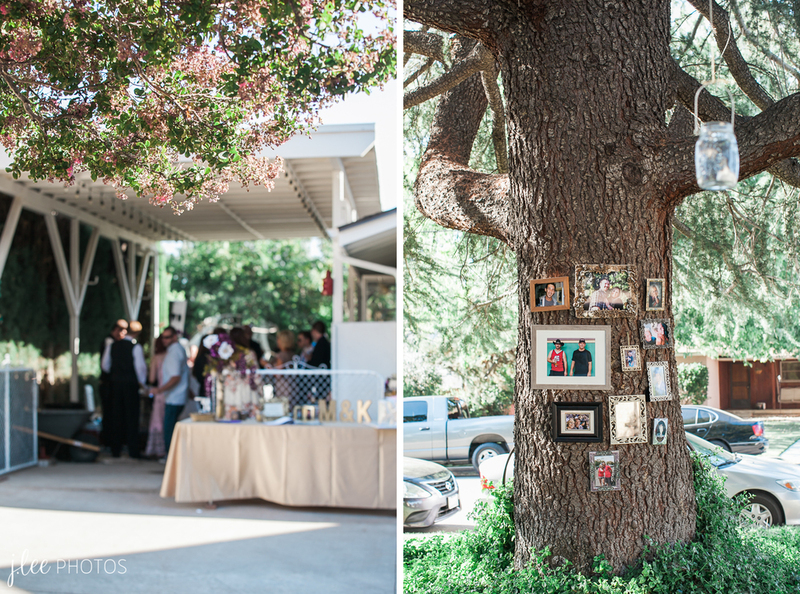 It was so special to see all the nice touches put on this beautiful backyard wedding. Congratulations Mike + Kara! Thank you so much for letting us be part of your special day.